I believe people wouldn’t like to see precious earphones under someone’s feet or tangled on desk. If you still have no gadgets for your earphones, check out miniWINDER. miniWINDER is a functional gadget targeted towards keeping your fragile and expensive earphones safety. Moreover, you never need to scroll the cord of earphone, just press the button placed in the middle of the gadget, the cord will be rolled up into miniWINDER. 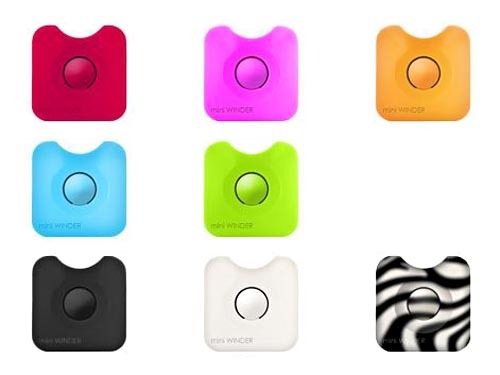 miniWINDER is available in various brilliant colors, each costs $14.95 USD. If needed, you can grab one from Skylabs.